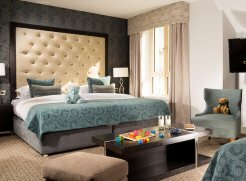 Castleknock Hotel is a modern hotel with a difference. We pride ourselves in creating unique experiences for our guests, delivered with a genuine warmth and character, that makes them feel right at home. Perfectly positioned in the leafy suburbs of Dublin, our guests enjoy the best of both worlds – space to relax and unwind, with the heartbeat of the city just around the corner.